the envelope, bringing together Penn’s brightest engineers in the process. 106 students. 48 sponsors. 1 team. 6 years. 5 cars. 34 trophies. 75m in 3.807s, an American record. 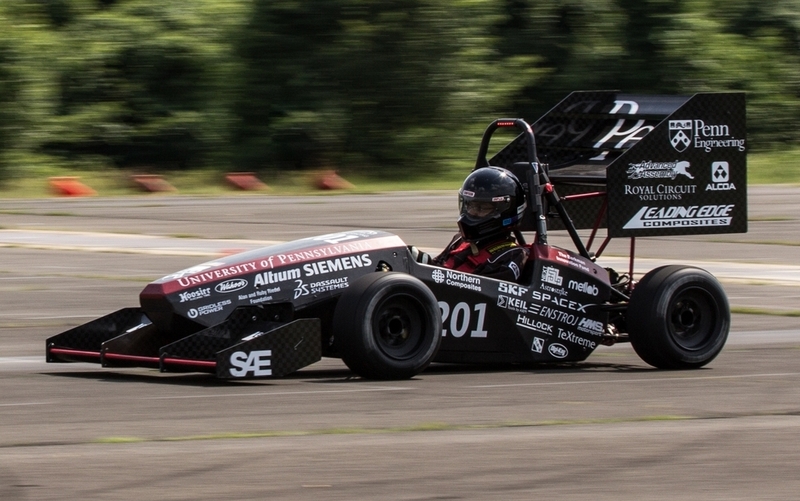 We may have joined FSAE EV only 5 years ago, but motorsports have a long legacy at Penn. Placed first at Formula Lincoln with best 0-75m acceleration in North America, faster than freefall. America’s first fully functional, student built, electric racecar. Converted Honda Ruckus to electric. The 1997 Independence, pictured here. Our first racecar with 4 wheel drive and custom in wheel powertrain. Broke the North American 0-75m Acceleration Record with a 0-60mph time of 2.6s.